UNDERWORLD: Nightmare Before Thanksgiving III ! Get Stuffed at this night of Dark Dance! The flicker of Mortality and The Gobbles of woe and gone!" 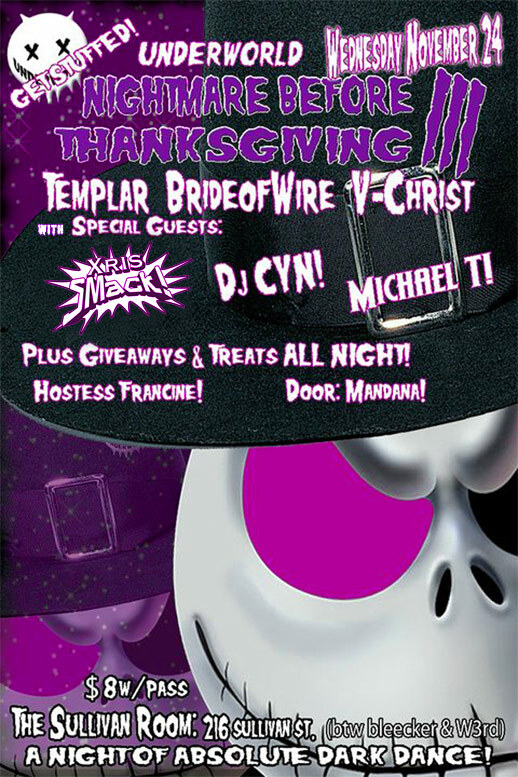 :Bride of Wire, Deathrock, DJ Templar, Goth, Industrial, Michael T, Thanksgiving, V-Christ, Xris SMack!